​Today I want to share some REALLY exciting information with you. ​As you can see, one of these lettuces is much larger than other (149g against 55g). But they were grown for the same amount of time in almost identical conditions. So why did one thrive and the other fail? 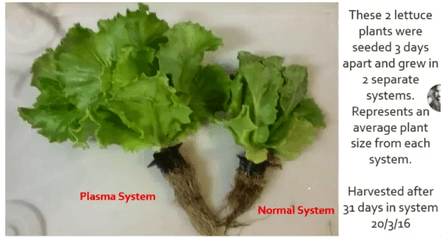 ​The answer is that although they were both grown on the same farm in identical, 24,000 litres aquaponics systems, in extreme heat, only the lettuce on the left received Plasma energy. The lettuce on the right is typical in the summer months, when the poly tunnels and the water they are grown in, over-heat to around 30 degrees Celsius. In the cooler months, the yield is about 35kg of lettuce per channel, but in the summer this drops to just 15kg because the conditions are simply too hot. The lettuce wilts. The roots rot and the plant fails to thrive as you can see in the images below. So what exactly was done to prevent the lettuces on the right from suffering and failing like those on the left? How is it that they are strong, with healthy roots and triple the weight? Incredibly, the only difference is that just 50ml of GANS (Gas in Nano State) transformed the 24,0000 litres of water they were grown in! The 50ml of GANS was kept in a CLOSED bottle throughout. The bottle was never opened or even moved. It simply floated in the water like one of the lettuces. This made every lettuce in all 4 poly-tunnels of one aquaponics system, impervious to the excessive heat. They tripped their size and sped up the time to harvest from 6 weeks to only 4! Below are images of the bottle containing the 50mls of GANS and some distilled water. You will also see the bottle’s location in the aquaponics system. This is just 50ml of mixed GANSes, sealed into a closed bottleand suspended in a flowing system of 24,000 litres of water. This 50 ml successfully transformed the growth of several thousand lettuces growing in excessive heat conditions! What this means is that the GANS (which is the source of plasma) never runs out. It never needs replacing, and tiny amounts of it will allow for food production in some of the most arid conditions on earth. In other experiments, the Chinese have confirmed that land based crops become impervious to frost, while crop yields from trials in Kenya and Ghana have more than tripled, and water usage has dropped by over 70%. Just imagine what this means for African nations. But what about the effects of GANS on humans and animals? 2 hours and 14 minutes into this workshop, Mr Keshe interviewed Mr Kahn, supplier to the industrial giant Tepco, who are responsible for the Fukushima nuclear power plant. 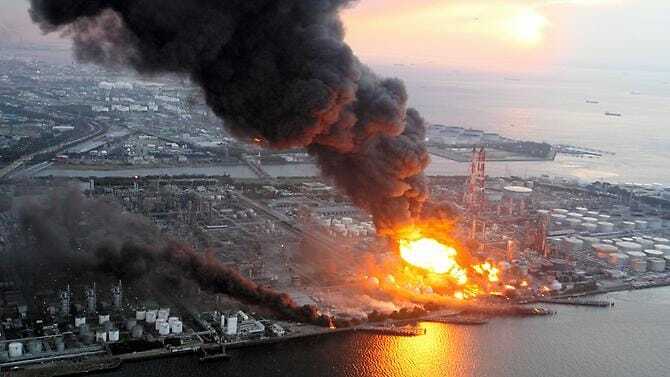 When Fukushima went critical in 2012, tens of thousands of individuals were immediately irradiated and untold numbers have since died. Ever since, millions of gallons of sea water have been pumped into the plant to cool the reactors, before being pumped back out into the sea. 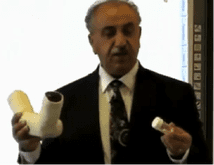 Fortunately, in 2013, Mr Keshe’s plasma technologies reached Tepco through Mr Khan. Trials were quickly organised. Remarkably, it was immediately confirmed that very small amounts of GANS could process out the majority of radioactive isotopes from the cooling water before it was pumped back into the sea. Please understand. There is NO other solution to this devastating radiation leakage. GANS is the ONLY option available to mankind and its use in Japan continues to this day. For health and safety, the Japanese government hurriedly sanctioned the following mouse study. 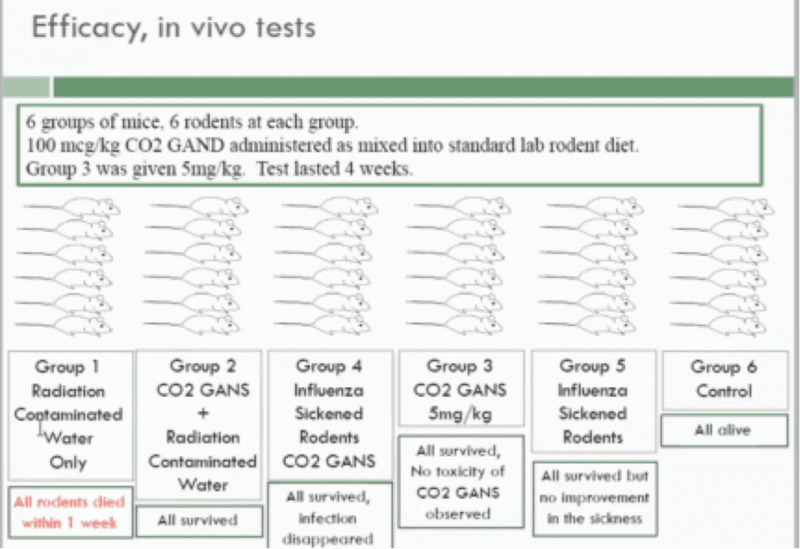 36 mice were split into 6 groups to discover how they would respond to CO2 GANS. The mice were first irradiated with traces of the contaminated water or injected with an influenza virus. 6 groups of 6 mice were studied. Group 1 was fed the irradiated water. They all died in 3 to 6 days. 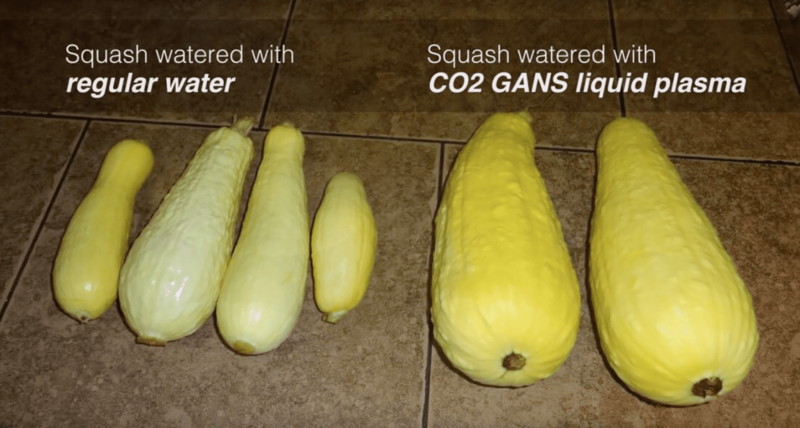 Group 2 received the same irradiated water, but also a tiny amount of Co2 GANS. All of these mice survived. Group 3 were simply given the GANS and all survived. Group 4 were injected with influenza virus and given Co2 GANS. All recovered. Group 5 were injected with influenza only. They survived but the infection did not resolve. Group 6 was the control group. All survived. 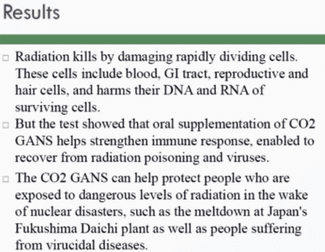 ​So since 2013, the Japanese have had a non-toxic solution to radiation poisoning and viral infections. This has been used inside Tepco ever since, but has tragically been kept from the general public until now. It was Mr Khan who brought this technology to Tepco, and this is his summation from the trail. Please understand though, that what you are reading about here is NOT a superior ‘toxin chelator’ or better fertiliser, working in the matter state. There is NO substance crossing the bottle into the water in the lettuce example and it is NOT a chemical bond between the CO2 GANS and the many lethal radioactive isotopes and viruses. Instead, what we are witnessing here are interactions in plasma states. These are exchanges in magnetic and gravitational field strengths, made available by the introduction of GANSes (Gases in Nano State). ​It is only through understanding the difference between physical interactions in a matter state and the exchange of energy and information in the plasma state, that many of the more extraordinary experiments and findings make any sense at all. One such extraordinary finding concerns GMOs. 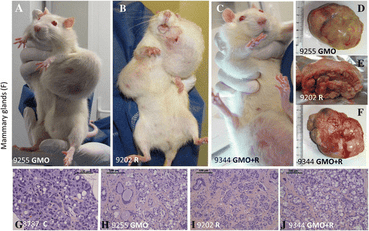 You may remember that Monsanto declared genetically modified crops to be safe, only to be contradicted by French government research that demonstrated the outcome seen in these images. But it’s not just that GMOs cause cancer. They also cripple farmers, who are forced to buy fresh ‘Roundup Ready’ seeds every year because the seeds from the GM crop are sterile and won’t reproduce. Five years ago I was at an environmental conference in Majorca where a powerful and passionate advocate for Indian farmers cried, as she recounted how thousands of them were committing suicide because they were unable to feed their families or even survive because of this despicable move by the chemical giant. ​Now we have a solution! 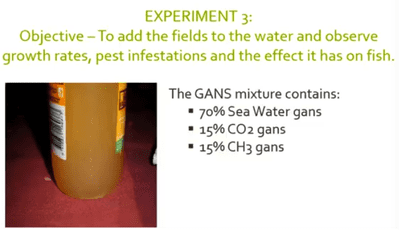 During his live call with the professors at the Atomic Energy Authority of Ghana, Mr Keshe explained that simply soaking the seeds in a bucket of water and placing that bucket in a larger bucket containing a solution of CO2 or CuO GANS, the genetic modifications would be wiped out and the seeds would return to their native and fertile state. ​It is also reported by a number of farmers experimenting with plasma solutions around the world, that plasma enhanced crops are more bug-resistant than even the pesticide laden crops in neighbouring farms. If genetic modifications in crops are resolvable, then what might this mean for genetic diseases and the snips that are constantly being blamed for ‘poor detoxification’? And what about cancers? Is it possible to reverse the cellular mutations that result in tumours? The tool in his right hand is a combination of magnets and plasma instruments. The magnets are used to focus the plasma field a few centimetres away from the device itself – in this case, the field was set up to surround a breast tumour. The results were outstanding, but too fast. Within two hours, chunks of tumour, some the size of the end of a finger (above), literally fell off. But the clotting and repair could not keep up, so blood transfusions were required due to blood loss and the process had to be taken very slowly. This technology has since been superseded. Now, you might be thinking that the plasma field somehow kills the cancer, but you would be wrong. The hypothesis is FAR stranger. If we look at Mr Keshe’s model of health and disease, we find that the emotional brain and the seat of the soul play an incredibly important role. If the emotional brain can be given the wherewithal to come back into balance, it will simply not support the illness any longer. So it will re-instructs the physical brain, which immediately goes about remodeling the physical body in a similar way to the genetically modified seeds remodeling themselves back to their original design. This of course is a radically different perspective on health and disease, and yet, the results I have shown you, speak for themselves. So in my introductory Plasma article, I gave you an over-view of what will be possible with plasma technology in the future. Then in the Plasma part 1 and Plasma part 2 I have explained what plasma is and how we can work with it. In this article I have demonstrated just the beginning of plasma applications, and as you can see, these first steps have already revolutionised the nuclear industry, agriculture and medicine. And yet, believe it or not, I have kept this article very grounded. I have not introduced any of the more remarkable experiments, because I know I have already stretched many of my readers beyond their breaking point. But this is the future that is coming to us all. It is a remarkable future, where solutions to many of the world’s problems are coming into view for the first time in human history. The future really can be very bright indeed!